This isn't actually what deterrents look like in Canada, it's just what people expect from us. 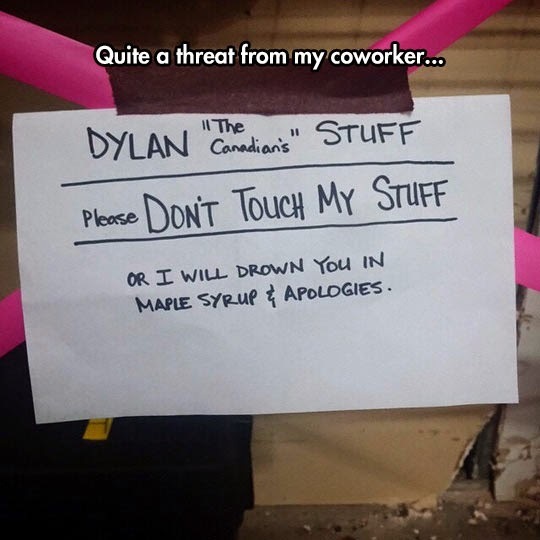 Although, we do have enough maple syrup to drown people with - but we would never waste it on something like that. No one wants to pour dead-man syrup on their pancakes, waffles, or french toast.